I am not going through a midlife crisis. Sure, the age fits as do some of the symptoms. But what I’m going through, and what I’ve been going through for most of this year is something a little more strange. It’s an awakening, it’s a long process of me figuring out how to live in my own skin. I am discovering who I want to be, where I want to hang my hat and the people I would like to surround myself with once I have everything figured out. Because all of this is still happening. I can see the answers forming, but none of it is quite there yet. It’s all very revelatory and astonishingly painful. Most people figure it out in some sort of natural order and at a younger age. It often has something to do with starting a family, something I have had little success or interest in thus far. This experience has hit me later than most as I discover the things I thought I was supposed to do might not be the things that I wanted. 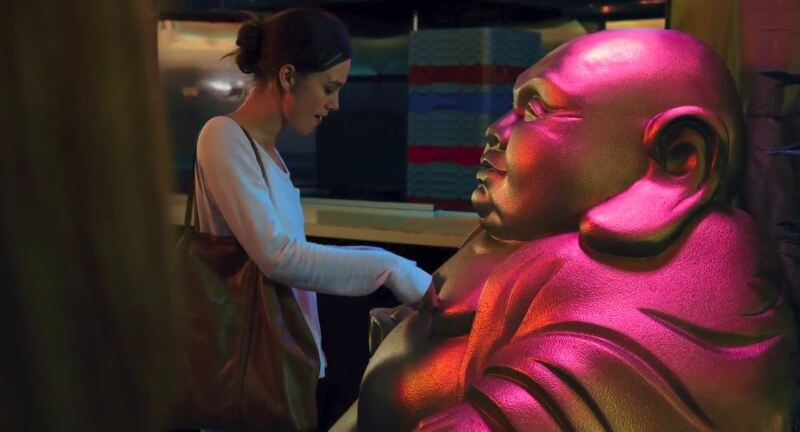 And then there’s Megan (Keira Knightley), the main character in LAGGIES (or SAY WHEN…, if you’re watching it in Europe). Megan isn’t quite as advanced as me, and yet she is by her own admission “floating” through her mid-twenties. She is slowly coming to terms with the same things a lot of outsiders do. All of her friends are establishing their careers, getting married and settling down into the vision of domestic life they had always planned. But despite intense peer pressure, Megan can’t quite pull the trigger on that step. Her planned career in counseling didn’t pan out and now she finds herself working for her dad (Jeff Garlin). Her friends are increasingly critical of her sense of humor and world view, as it hasn’t settled into a more conservative groove. Her longtime boyfriend is both business-minded and overly accommodating At her friend’s wedding, Megan is faced with two potentially life-changing events. First, her boyfriend dramatically proposes on the dancefloor. And then, she witnesses her father having a fling in the parking lot. Megan does not deal with either of these events, instead choosing to flee the scene. She finds herself outside a convenience store where she is approached by teenager Annika (Chloë Grace Moretz). She agrees to buy some booze for Annika and her friends and semi-reluctantly accepts an invitation to hang out for a bit. For a few hours, Megan can vent about her problems and yet feels more at home talking to this group of likable teens. When things continue to become intense for Megan, she calls in a favor. She needs a place to lay low for a week while she figures things out and asks to hide out at Annika’s. Sneaking her much older friend in doesn’t work out as she is almost immediately discovered by Annika’s father, Craig (Sam Rockwell). To his credit, dad is not exactly thrilled about a strange woman sleeping in his daughter’s room. Still, he’s understanding enough to give her a probationary pass, provided she at least moves into the guest room. Craig is a lawyer and single father, raising his daughter alone after his wife walked out on them to become a model. This broken home is something that Annika obsesses about, as she finds herself in need of a mother figure to help navigate her through her teenage years. Megan and Annika become good friends, though Megan also develops feelings for Craig. At this point, she becomes torn between her loyalty to her friend, her growing feelings about her friend’s dad and the inevitability that she will probably have to make some decisions regarding her old life. LAGGIES is the first produced script by Andrea Seigel. I bring this up because the script is such an unusually good one. The film is populated by several well-written and likable characters. The temptation in a story like this would be to turn much of the cast into caricatures Maybe Megan is too obviously immature. Maybe the teenagers are stock players from the CW. Maybe Megan’s friends are ridiculous. Seigel wisely steers clear of all of this. Megan may be immature, but she is an interesting and well-meaning person and there’s no guarantee that not “acting your age” is such a bad thing. Annika and her friends do all the things teenagers do. They bury themselves in the various toys of the internet and modern pop culture. They joke around and try to get away with things. But they always seem genuine. Likewise, the film makes it clear whereas pubescent hormones make every change a life or death event, teenagers really are going through a lot of frightening things. Annika is still reeling from her mother’s abandonment and another friend is sinking into depression as his parents divorce. I don’t know if I would be able to psychologically slide back into this age group as Megan does. Teenagers are a difficult age group to relate to, but don’t forget that it’s also probably the most difficult age to be. Megan’s friends, especially the recently married Allison (Ellie Kemper) are in their own world of domestication. The judgmental attitude she takes made me wish Megan would give Allison a good slap. But even though it seems like Megan’s friends are ostracizing her, it’s just the opposite. Rather they are entering a new stage of their lives and want to keep her on board. In a very telling scene, Allison talks about their senior prom, how they all went through it together and that it helped bond them over the years. The weddings, the careers, the home ownership, the families – for Megan’s group, these are all new proms. All of her friends are going through it and can thus relate to one another, while Megan continues to drift away. They want to keep her in the group, but fail to recognize that Megan may not want the life her friends have chosen. Lynn Shelton is developing a name in writing smart, honest comedies. The film moves with all the markers and bright spots of a formulaic, sit-back-and-relax comedy but eschews the by-the-numbers characterizations that would make this format dull. The old clichés are still there, but instead of going through the paces, Shelton reminds us why this genre is still a viable and even fulfilling form of entertainment. 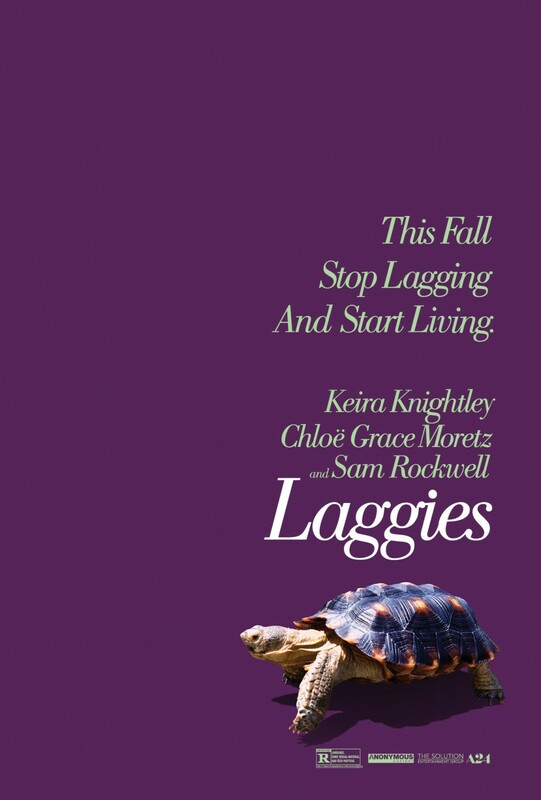 And good news, LAGGIES also happens to be really funny. The cast is incredibly likable. Knightley, Moretz and Rockwell are all genuine and we even get some fine turns from a supporting cast that includes Kemper, Garlin, Gretchen Mol and Kaitlyn Dever, who delivers the film’s most cheerworthy line. Most of us evolve beyond the ridiculous high school drama, only to find that people have inexplicably lost their sense of humor. Lynn Shelton’s LAGGIES pinpoints the difference between growing older and growing up. More importantly, it lifts up the aimless people often thought of as failures, and shows how amazing they can be. Highly Recommended. Previous Previous post: The Spoiler Room Celebrates the Apocalyptic 80’s!